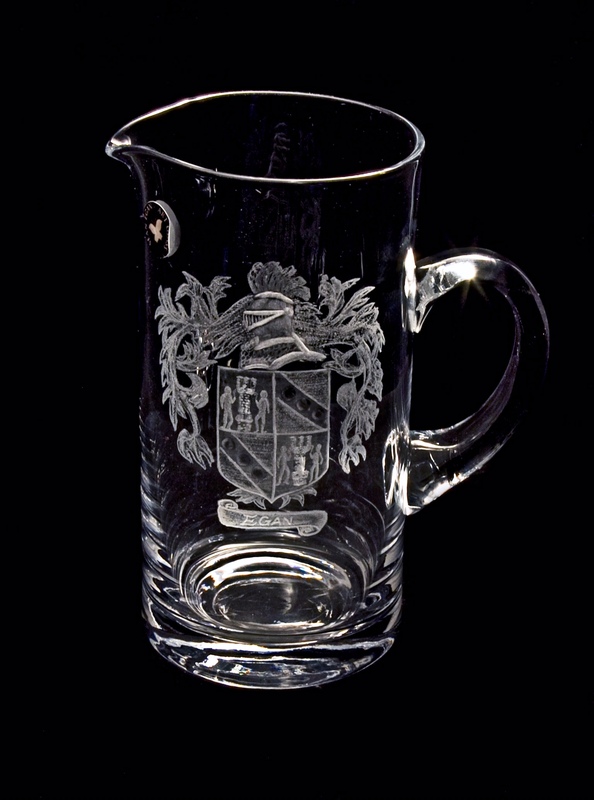 Description Crystal drinks jug decorated with family name crest. All family names have a matching crest. Wide variety of glass items available for crest design. Contact Sean directly with any queries.